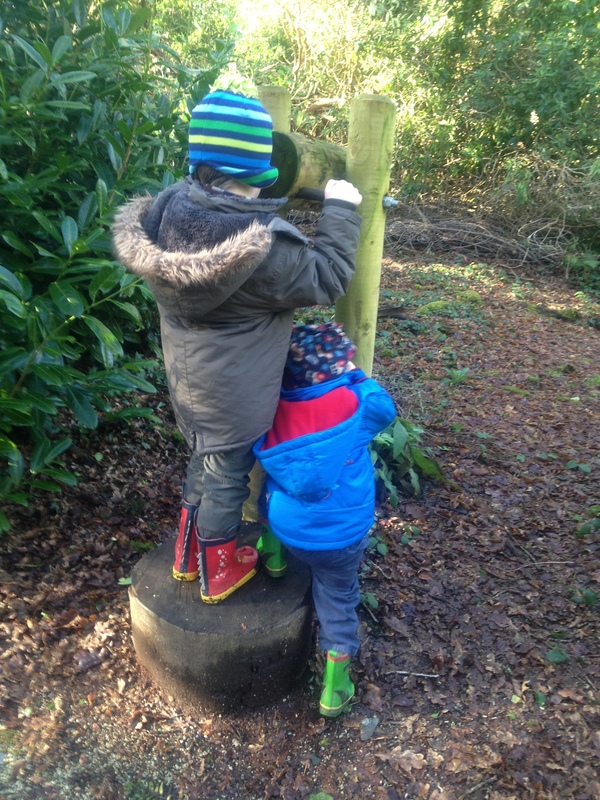 It was a lovely bright morning, the wellies were in the boot, so after they did some pew-scrambling and a bit of pillar climbing at mass I decided that the boys needed fresh air and to use up that surplus energy. 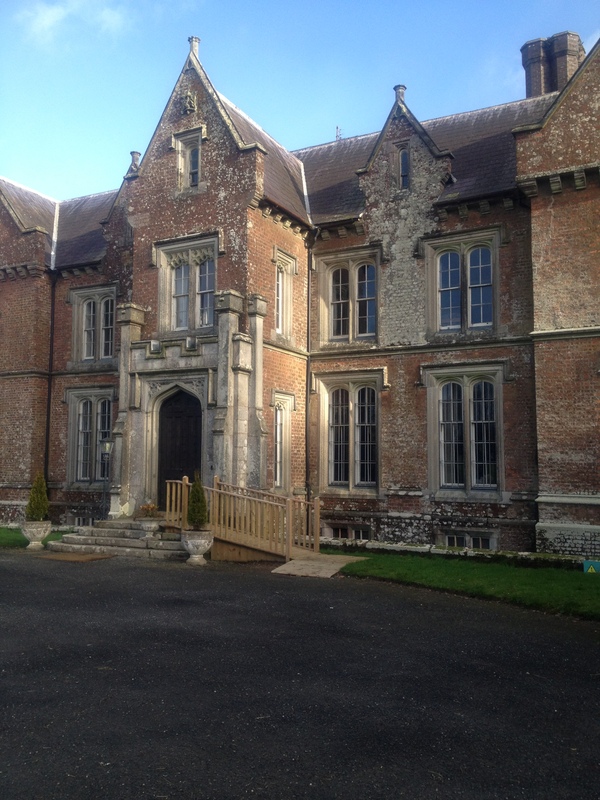 Wells House is less than 20 minutes from Gorey, just past Ballyedmond on the Wexford coast road. I drove past on my way to work every day for four years and wondered about it, so when it recently opened to the public I was curious to have a wander around. We’d been before but a heavy rainshower stopped our adventuring that day. 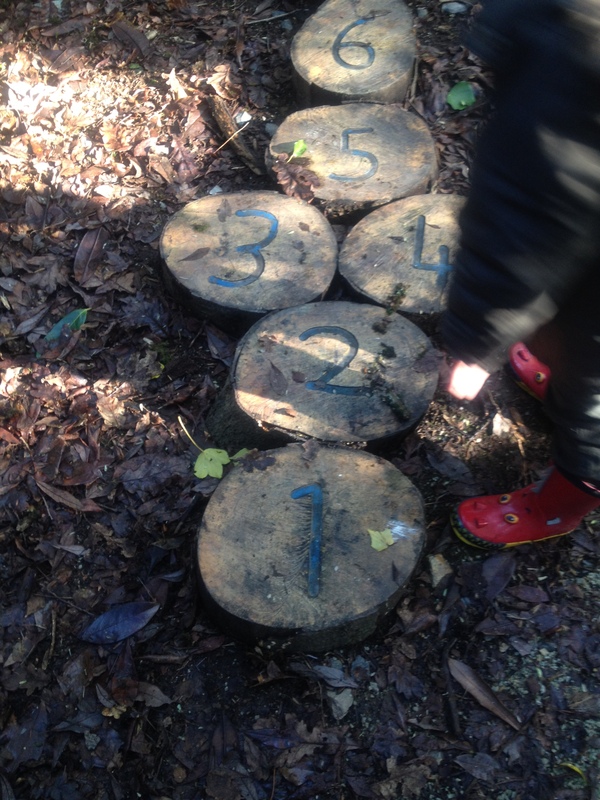 This morning was glorious as we headed down the wooded walk (Lady Frances’ walk), the ground was wet so the wellies came in handy and there was a plentiful supply of muddy puddles to enjoy. The first squeal of excitement came from the four year old discovering a “wiggly worm” on the path and this lead to him bursting into a song about worms. It set the tone. We got back on track and followed the winding road and noticed a wooden “telescope” pointing at a tree- we looked through it and spied an owl (wooden too) on a branch of the tree. Cue lots of owl sounds. We went further into the deep dark wood and found more telescopes which revealed other animals hiding in the undergrowth, a “small bear”, a fox and there was a frog in the stream at the bottom. When the four year old started thinking about the animals that we had seen he was convinced that there would surely be a Gruffalo next, and he wasn’t disappointed. (For those of you without young children, the Gruffalo is a beloved character in a favourite bedtime story). 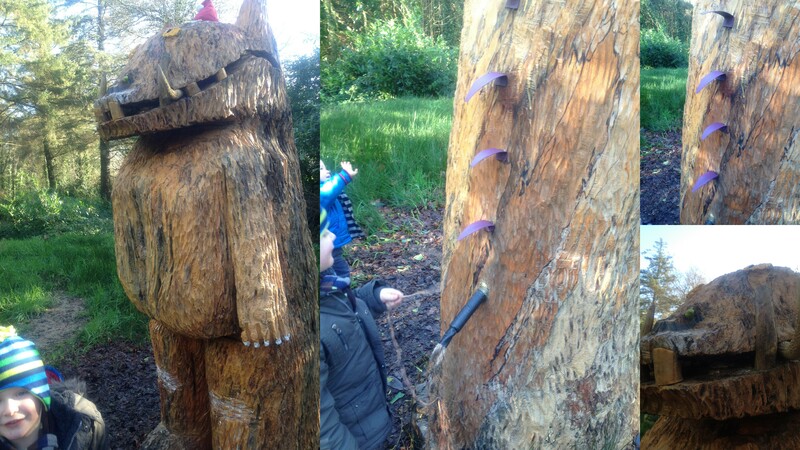 After checking to make sure it was a Gruffalo by checking whether he did have purple prickles all down his back and a poisonous green wart at the end of his nose we headed back towards the visitor centre for a teabreak for me. There’s no Gruffalo branding or signage anywhere so you can keep it a secret from the kids and see the surprise that they get when they happen on it. (if your kids love The Gruffalo like mine do check out Cathal’s Gruffalo Birthday Cake. 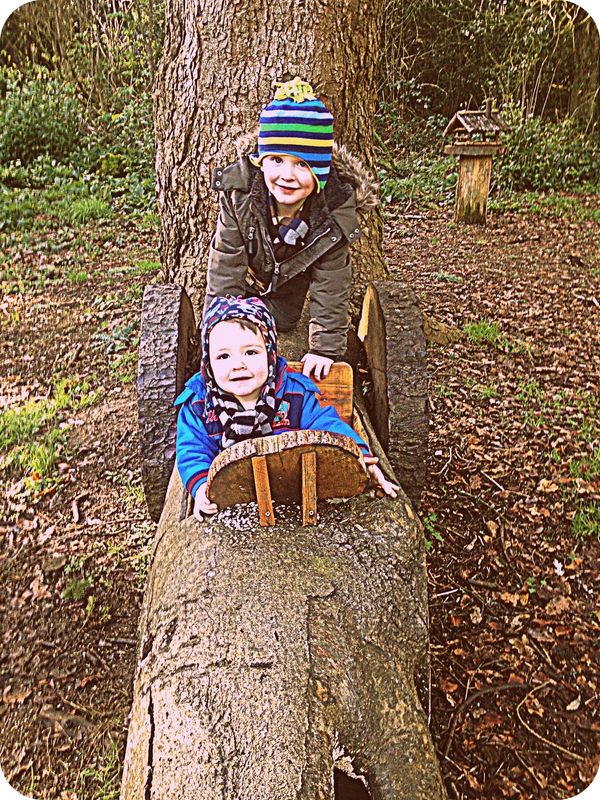 We had some more lovely woodland walking and the boys were thrilled to spend time in the wooden racing car made from logs and to watch the fountain. 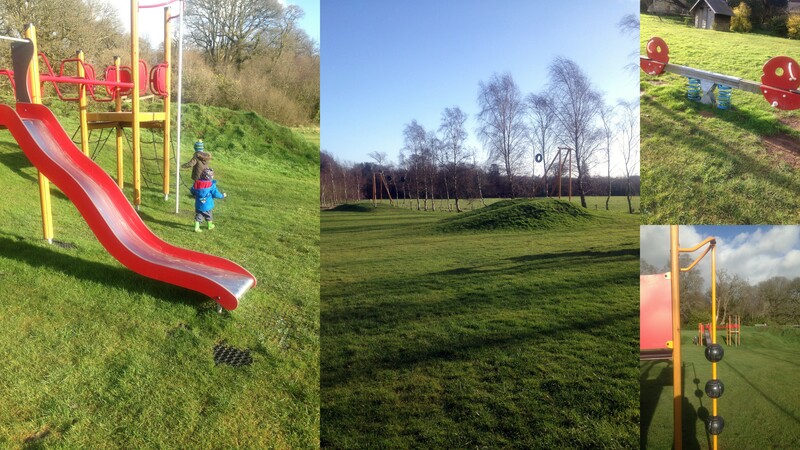 After a very child friendly “juice and tea” break we spent some time in the playground which, while a bit muddy on day like today is well kitted out with two good slide/climbing frame combos, swings, a see saw, some smaller springy rockers and a zipwire. The only problem is trying to drag the kids away from it. We had lots of fun, got close to nature and the boys were very enthusiastic. At 20 minutes’ drive from our house we’ll definitely be back! There is now a petting zoo run by the NWSPCA on site too. 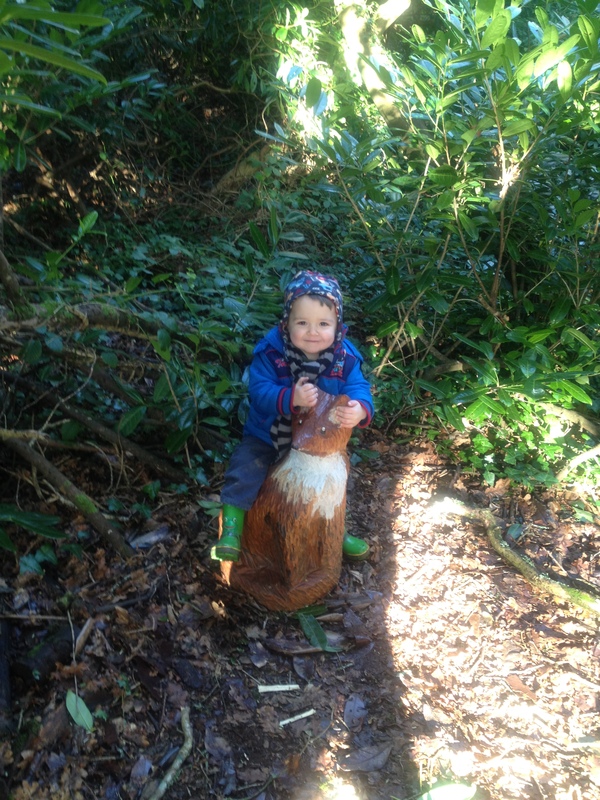 days out, entertaining kids, walks, wexford, woods. Bookmark.